(6-CD Cap Box - CD-sized Box With Lid) The ultimate collection for the ultimate rock 'n' roll fan. This is the closest diehard fans will ever get to finding six new CDs of their man in his prime. 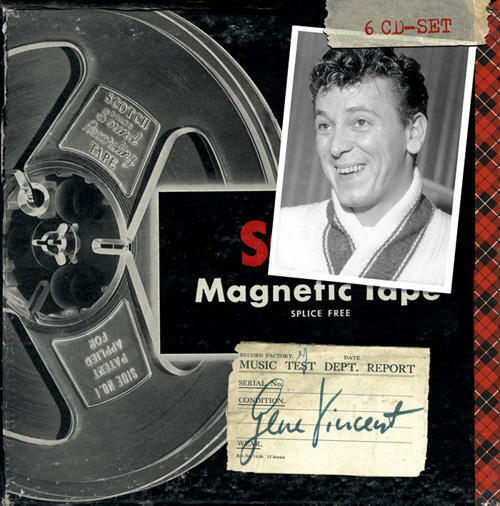 The sessions date from 1958-1967 and all known Gene Vincent outtakes are included. Highlights include 11 songs from his final sessions with the legendary Blue Caps spread over CDs 1 & 2, including You Are The One For Me, Rip It Up, Maybelline and Gone Gone Gone. 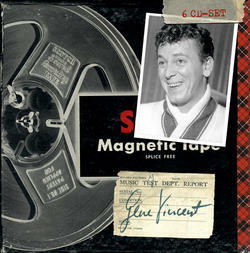 Multiple takes of eight songs from his major label sessions of January 1961 are included on CDs 2-4, while CDs 4-5 feature Gene Vincent in London 1961-63 (six titles from Abbey Road Studios, two from Olympic Sound Studios, and one from a Joe Meek session for the Live It Up movie soundtrack). The final CD contains material from his 1966-67 sessions in Hollywood for Challenge Records. Includes a 76-page booklet.